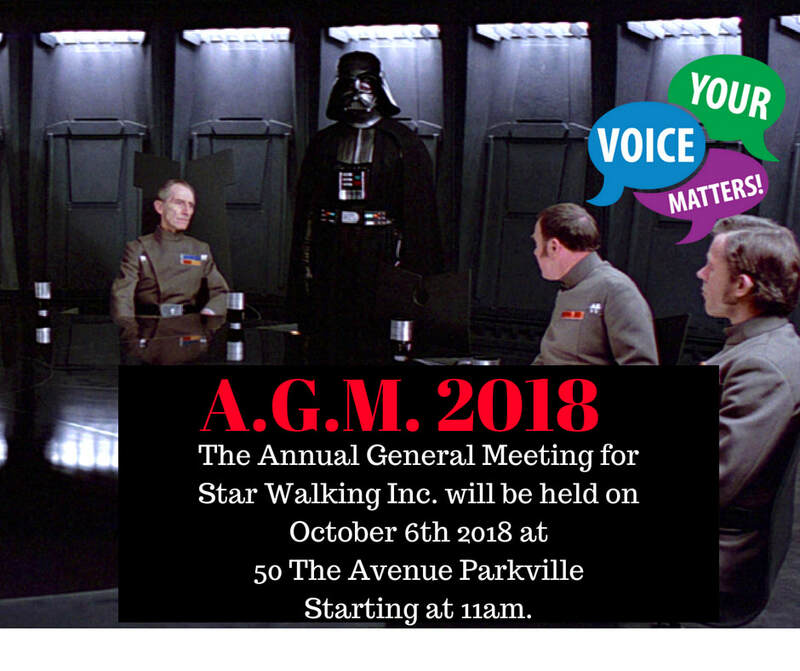 AGM2018 - Star Walking Inc.
Star Walking Inc. 2018 Annual General Meeting. Nominations for these positions are to be submitted to the Returning officer no later the the 29th September 2018.
download and complete the nomination form below. All forms must be fully completed and all nominees must be members of Star Walking Inc.
​Incomplete forms will not be accepted.